For CoutureOne social standards and mindful usage of resources are inseparable when considering production and fashion. The social and ecological responsibility go beyond our own company, involving the production, suppliers and raw materials. CoutureOne believes in offering products that not only have a long ‚life’ but that also support an awareness of good working conditions when dealing with it’s partners, shaping and supporting the meaning of ‚quality standards’. These principles speak for our product throughout the entirety of our economic chain of values. To ensure this from season to season our collections are produced solely in Europe. Fair pay, and the shortest routes possible are taken to help reduce carbon footprint. Sustainability begins for CoutureOne at the beginning of the economic chain – from the selection of the material. For us it is essential to work with the best environmentally friendly material from Europe. Our high-end fabrics are ordered from Greece, from a traditional family business in it’s second generation. Our produced stock is all certified and complies with the highest international standards. The consequential connection of such a scale, ecologically and socially, is a condition which we demand from our manufactures. 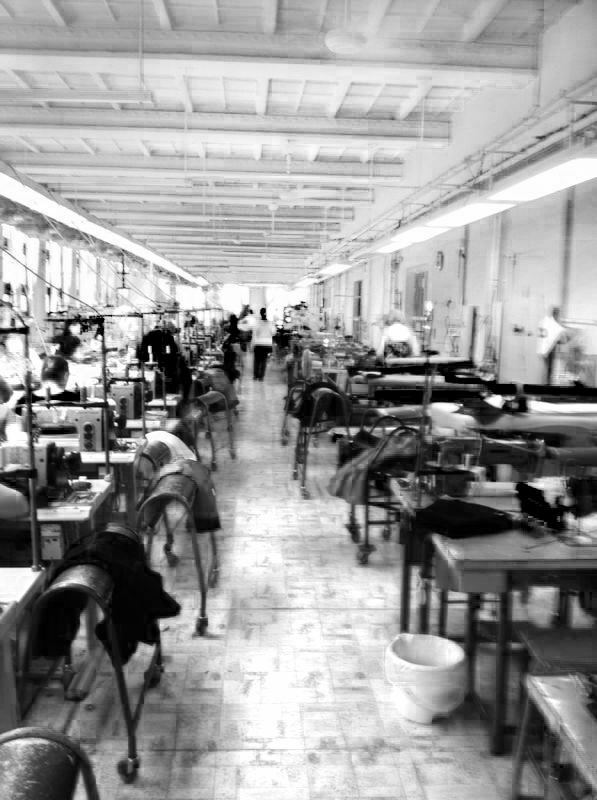 Every single piece of our clothing is produced by hand in a traditional Hungarian company. The family business is in it’s first generation and employs local Hungarian seamstresses. That said, CoutureOne, supports the local handcraft and strengthens the region – economically. Fair working conditions and adequate salaries are monitored and ensured through our regular visits to the production company. Every season CoutureOne re-evaluates working contracts and prices, maintaining a fair working relationship. A long-term and a trusted collaboration with our suppliers resides close to the heart of our company. To support the local economy we have consciously decided against an international logistics enterprise and instead have chosen a small Hungarian family business that transports our designs safely to Germany. Sustainability doesn’t start with the production. It is deeply anchored in the philosophy and the ‚Design Language’ of the label. CoutureOne does not stand for fast moving, fast fashion, rather for a timeless style. Every individual clothing piece is closely considered when designed and proves itself with it’s own longevity. We guarantee our perfect patterns, fitting and, high-end materials with thoughtful details. CoutureOne takes responsibility and are confident that a product should equally fulfil these factors of quality, style and sustainability. To be conscious, and more aware when consuming is an important step in positively contributing to the change in the world. Women shouldn’t just feel comfortable and beautiful when wearing CoutureOne designs, but also feel connected to their beauty with a good conscience.